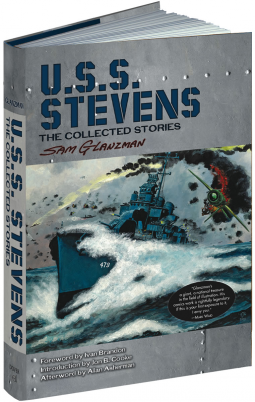 This book is a compendium of Golden Age comic book artist Sam Glanzman's series U.S.S. Stevens. Complete with a foreword on Glanzman's history and notes regarding the historical events and recommended readings for more information on World War II. My family has a history of Naval service. My dad was in the Navy. My maternal great-great-uncle was one of the first casualties after Japan started attacking the Philippines. My paternal great-uncle was one of the soldiers on the U.S.S. Indianapolis who died after delivering the atomic bomb to Tinian. So when I picked up this book, I felt like I was getting a little more connected with family history, not just my national history. There are many sobering stories in this series. Glanzman does not glorify war or heroes. The few, more lighthearted stories, still have the sobering background of war. Some stories that start off light become sobering. At every turn of the page, you can feel Glanzman's experience and sincerity in his recreations of events that happened to him. Especially interesting to me were the "footnotes" from almost every issue in the book. These talked more on the topic the comic was covering in this issue from PTSD to gays in the military to the high number of illegitimate children born in the Philippines. If you are interested in World War II, the US Naval History, or war stories in comic book format, this is a book for you. Glanzman mixes in many history and engineering lessons into his comics making this both an emotional and informative read. June is Pride Month and in honour of that I want to share a few of the books on my TBR that feature LGBTQ characters and themes. 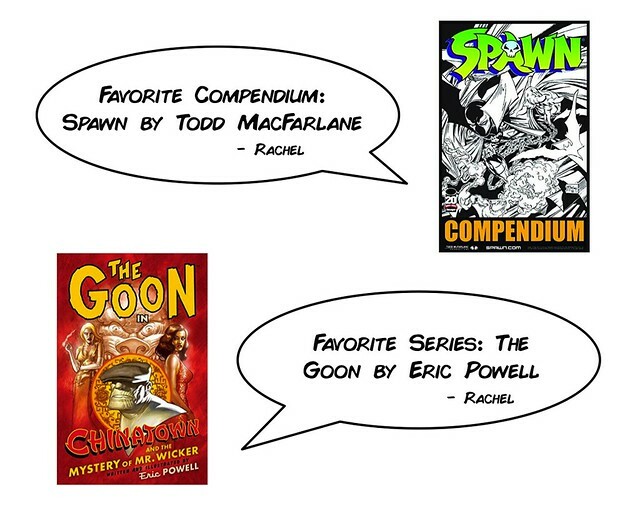 Let me know if you've read any of these in the comments, and what you thought of them. 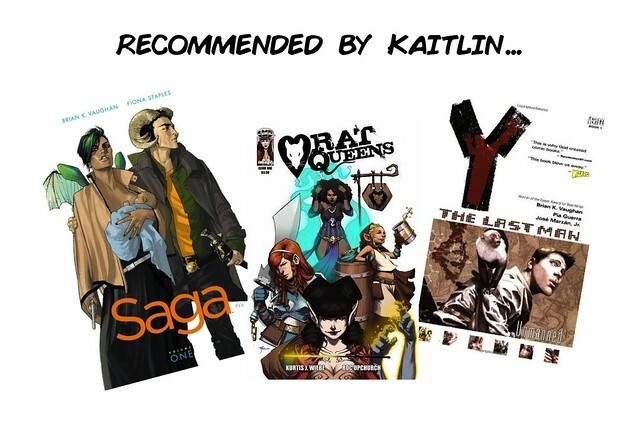 And share some recommendations too! 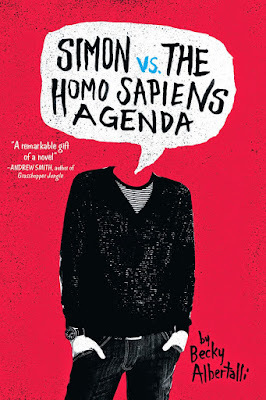 Let's all get some more LGBTQ reading in our TBRs! 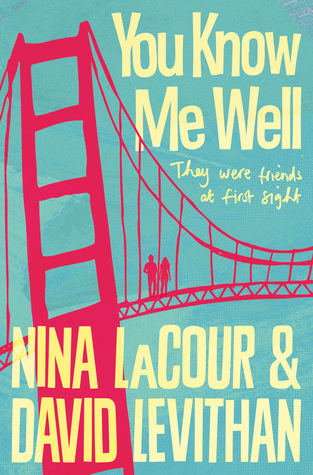 You Know Me Well was released just a few weeks ago and the two main characters actually meet at San Fransisco Pride. The story alternates, chapter by chapter, between the points of view of Kate, who has just run away from finally meeting the girl she loves from afar, and Mark, who is in love with his best friend and not sure how said best friend feels. When Cameron's parents die suddenly in a car crash, she is forced to live with her ultra conservative aunt. At first Cameron is relieved that her parents will never have to know about her kissing a girl earlier that day but when her aunt finds out about Cameron's feelings for a new girl in town her solution is to send Cameron away to a religious camp to "cure" her of the feelings she is still trying to come to terms with herself. 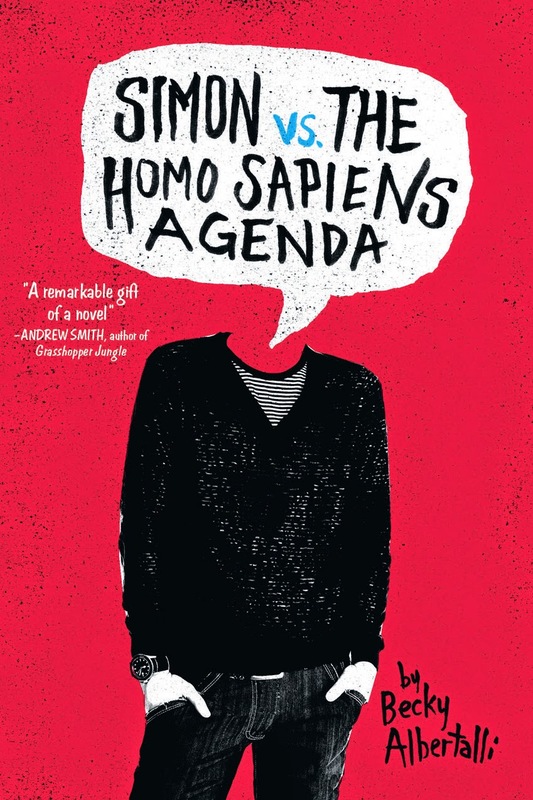 Simon isn't out yet at school or at home, but he is out to the mysterious boy from his school that he's been emailing. Both boys are perfectly happy to keep their secrets, which makes it all the worse when one of Simon's emails ends up in the wrong hands. Suddenly Simon is being blackmailed, forced to go along with classmate Martin's plans unless he wants the whole school to know his own secret and the secrets of the boy he might be falling for. Emi is an up and coming Hollywood set designer and while everything seems to be going in the right direction in her career, things aren't going so well in her love life. 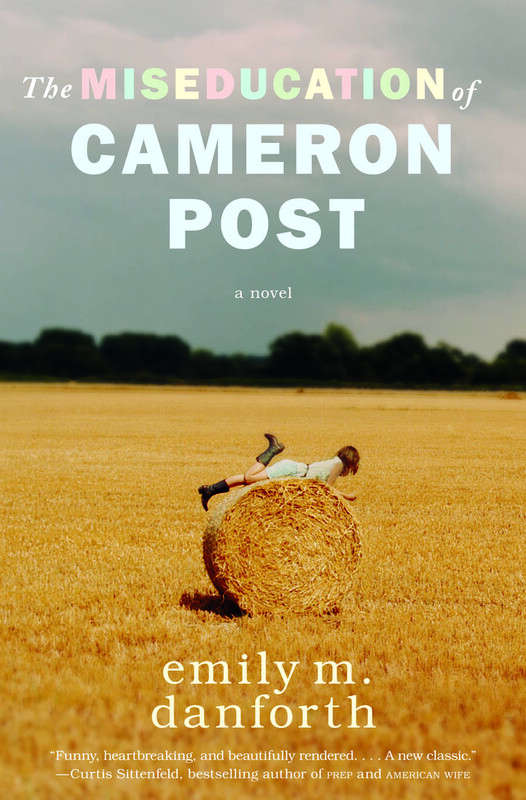 That is until a mystery letter leads her to Ava, a young actress looking for answers about her past, and Emi's summer completely changes course. 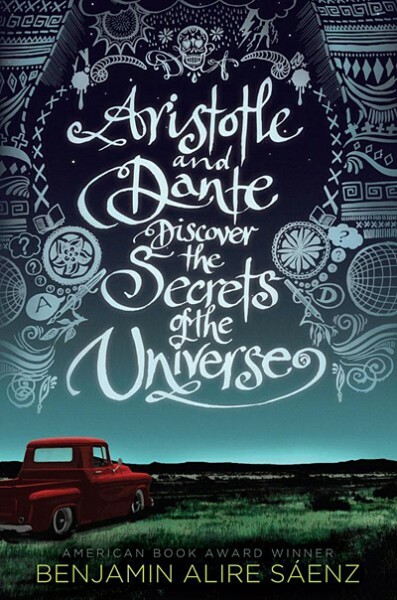 Aristotle and Dante have nothing in common. Aristotle is angry. Dante is a know-it-all. But as the two boys spend more time together they start to realise that they have more in common than they thought. Their friendship starts to bloom and as they discover more about each other, they discover more about themselves too. Toni Morrison's novel, 'Beloved', follows the story of Sethe, her daughter Denver, and their life at 124 Bluestone Road, Cincinnati, Ohio. It is set in the mid-1800s after the American Civil War. I chose this book because it was on a list of "30 Books to Read Before You're 30". It is does not contain anything I would normally go for - neither the setting, the historical period nor the subject matter. The story is non-linear and meandering. We learn pieces of information here and there before returning to the suffocating insular life of Sethe and the people around her. She does not engage in the community except by going to work, and her past haunts her constantly. The book reminds me of "stream of consciousness" novels in its meandering narrative. Events or explanations are hinted at vaguely before meandering off somewhere else. We know that Sethe escaped the Sweet Home plantation in Kentucky where she was kept as a slave. We learn that the house at number 124 belonged to Baby Suggs, Sethe's mother-in-law. Sethe's husband paid their owner for Baby Suggs to go free and live as a free black woman in Ohio, a free state. 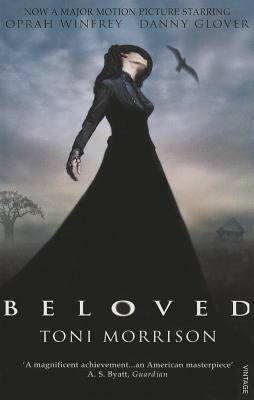 The "blurb" of this book tells us that Sethe cannot move past the fact that she murdered her baby daughter, Beloved. One day Beloved mysteriously returns to stir up the life Sethe has made for herself, taking all of her love and attention. I really did not enjoy this book, despite the fact that it was well-written. The plot whirls around and around in circles, and hints of Sethe's past drove me nuts because it took so long to eke them out. I enjoyed the community of black people we get to know in the later part of the novel, which shows that they were all there for each other if Sethe had just opened her eyes. The descriptions of the white slavers and the good, caring whites were powerful and contrasting. However, the plot took too long to gain any attention of mine, it didn't go anywhere except backwards, and it frustrated me to no end. I understand that Toni Morrison wrote well about how the past haunts the present and the past can repeat itself if you don't stop it, but it was not a writing method I enjoyed. 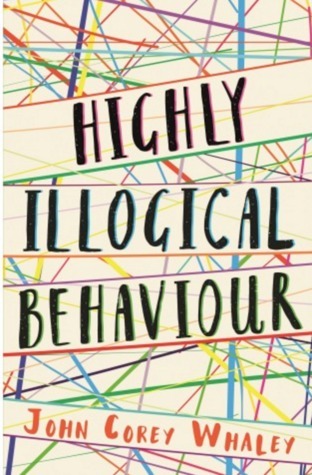 I am not going to recommend this book to anybody in a hurry! I've read some of John's novels in the past. Noggin has always struck me as an unusual, but pretty great novel since the first time I picked it up in a bookstore. Then when I heard about this book, I was naturally pretty excited to get my hands on a copy. I'd heard plenty of good things about it prior to receiving it, so when I did receive it, I was pretty eager to make a start on it! Solomon is agoraphobic and hasn't left the house in three years. Lisa wants to get into one of the best psychology programs in the country, but ambition might not be enough. Lisa wants to "fix" Solomon, but as she and her boyfriend Clark step into his world, the walls she's built begin to collapse. Their newfound friendship and Clark's newfound bond are also threatening to do the same. This is a really powerful and emotional novel. There are very few characters and the plot is rather simple. It's not a novel that really sticks to the ideas of how novels should work, but it's such a well written novel with characters you really get to know, I finished it missing the characters already. This book has an 'ecosystem,' which you navigate through. It's small, but complex, and I personally think that's been done with intent, almost to reflect the complexity of life. It's small because there's very few characters and there isn't the most complex of plots, but it's a complex web of life and I really like that. John's way of writing yet again is stunning. Anyone that's ready any previous works from him will know exactly what I'm talking about, but you see it yet again in Highly Illogical Behaviour. 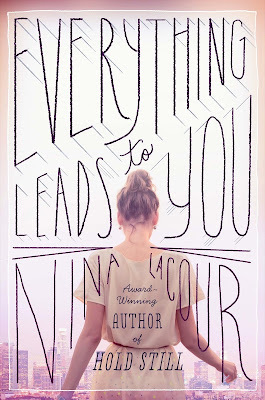 The ending is stunning and the book, overall, is heartwarming. I really enjoyed it, I think many, many people are going to enjoy this book and a lot of people are going to feel a lot of emotions about it as well. Go read it is all I'm saying, and experience the ties between Sol, Clark and Lisa for yourself. Jonas Jonasson is the author who wrote The Hundred-Year-Old Man Who Climbed Out of the Window and Disappeared, which I thoroughly enjoyed. Thankfully, I can say the same for this book, too! Jonasson's unique sense of humour returns in The Girl Who Saved the King of Sweden. It's amazing to believe that the novel I read was a translation from Swedish. The book starts by introducing us to two different sets of characters. In South Africa, black "illiterate" Nombeko is a sanitation worker who lives in a shack. She has a remarkable talent for numbers, doing advanced arithmetic in her head quite unexpected of a black person in South Africa in the 1970s. We also get to know the twins Holger and Holger living in Sweden, whose father is a fanatic republican with a crazy idea; he registers only one of his sons' birth, so that they could take turns in going to school and staying home to learn all about their father's plans to depose the monarchy. My favourite parts were the shows of Nombeko's intelligence. In each new situation, she bides her time until she can get out of her most recent difficulty. It is not probable to believe that all of the things that happen in the novel could really happen to one person, but the way Nombeko finds a way out of each problem is interesting and keeps the story flowing. I tried something new in my reading, which is that I was reading two books at the same time. This was due to a "read-along" I was doing with somebody else who reads slower than I do. 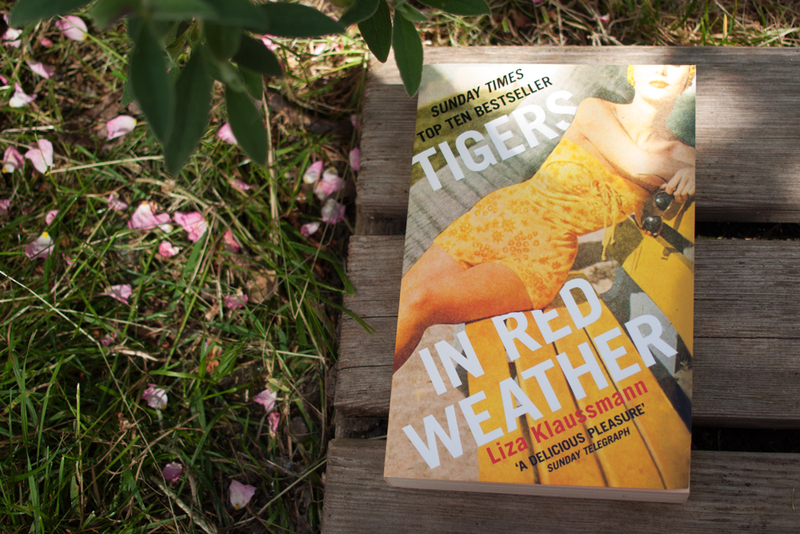 I kept having to wait for her to catch up, and in those moments I came back to Jonasson's novel. As a result, both books have felt like they were taking far too long to progress and come to any sort of climax or conclusion. 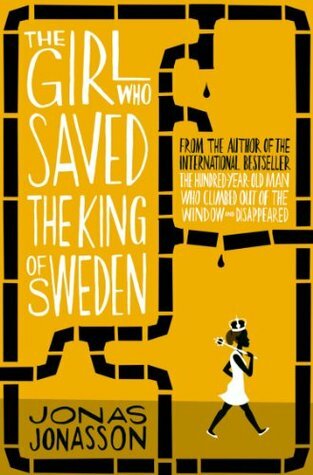 The Girl Who Saved the King of Sweden is a pretty long book, considering its humorous approach, so sometimes I did feel like I was really dragging myself through the story, wishing it would move a little faster. The plot events are sometimes years apart, with seven years here, twelve years there, just waiting for a safe time or a perfect opportunity to take the next step. I think the book could have been better, had it moved along at a faster pace. Sometimes when it came to reading time, I preferred to look at my phone or use some other distraction to get me through my lunch hour. I think the final third of the book went a lot more quickly because I was racing to find out the conclusion. While the story was a bit ridiculous, the funny points of the novel pretty much made up for it. Jonasson certainly writes with his tongue in his cheek, making fun of the police force, political ambassadors, and Swedish people in general. I will definitely read any other book Jonasson writes, as I enjoy his writing style (and the work of his translators! ), and his subject material is so different and fresh as to keep me intrigued. The future's looking pretty glum. A handful of Mega Corporations rule EVERYTHING. Everyone knows it, but no one does anything because they'd rather have a chance at success than live like a Nil, someone without any rights who can be killed for any reason. The only people fighting back are eco-terrorists, The Greenies. The corporations come up with a way to get rid of the Greenies, which has an 80% chance of success. Too bad for Tony Sammis, it involves ruining his life. I have to Gondolfi a lot of credit for creating an interesting, and consistent, world without too much of an exposition dump. There were some aspects I would have liked to have more fleshed out, such as Sonya's magic, but overall I felt that the rules of the world were explained well through a balance of action and dialogue. Even the roles of the various groups were easily established in the first few chapters. The mega corporations are quickly identified as the bad guys. The Greenies are quickly identified as the good guys. And the rest of society is very quickly seen to be passive in all that goes on around them. Except for Tony Sammis, the star of the show who gets threatened with being sued for malpractice for performing CPR on a woman having a heart-attack that no one else will help. Overall this was a fairly quick read for me. I found the villains to be intelligent, though a couple of things made me think Gondolfi was trying a little too hard to make me not like them. The final weapon they use against The Greenies was one I did not see coming, but made complete sense and was executed quite well. 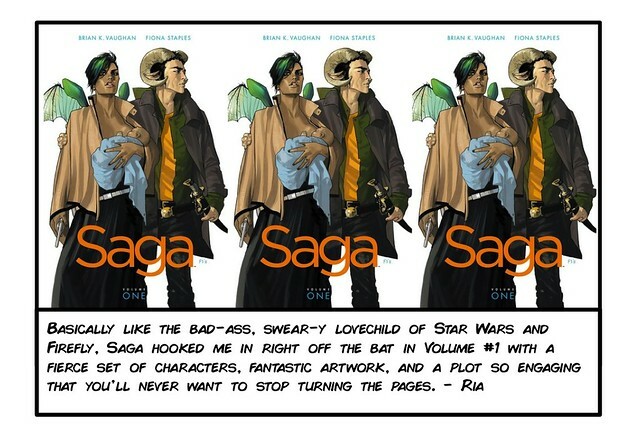 The good guys were the rag-tag-hero types that so many of us love to read. They know the world isn't right and want to fix it, but don't have the best, or most organized vision, of how to do that. Tony is the hero whose world gets pulled out from under him, but whose actions make him easily identifiable as a good guy who just wants to do the right thing. Seriously, saving a kitten from getting sent to the compost easily makes for a good guy. Probably my favorite part of this book was the ending. No, that's not a joke about the book being lousy. The ending chapter(s) showed that good guys know that there are economic impacts of their actions. If they truly want to help the people, they need to be careful of how they do things. I really appreciate that the world view is taken up, rather than the "destroy them all" banner. For me, this book was okay. I'm not sure if I will pick up the next book in the series or not. 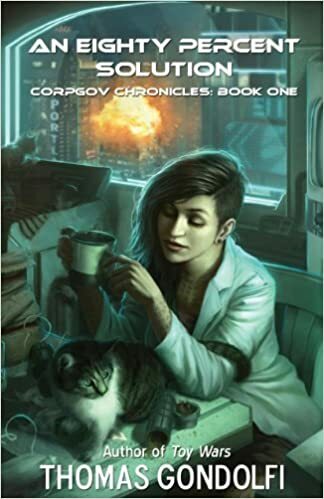 However, if you like dystopian future reads, bringing down the corporation reads, or even the heroic little guy read, you may enjoy An Eighty Percent Solution. Next month we're celebrating another year of the amazing YALC by talking about YA! If you'd like to get involved just email bloggersbookshelf@gmail.com or drop us a tweet @blog_bookshelf! Summer is my favourite season. I know most bloggers seem to have a thing about autumn but as far as I'm concerned autumn can jog on. It's summer I'm interested in and since we've finally had some actual sunshine on this rainy island, I'm here to celebrate that the only way I know how: book recs. For long days wandering around small, seaside towns. Lorali is the story of a mermaid who leaves her world behind, the boy who finds her, and the sea, who watches it all. 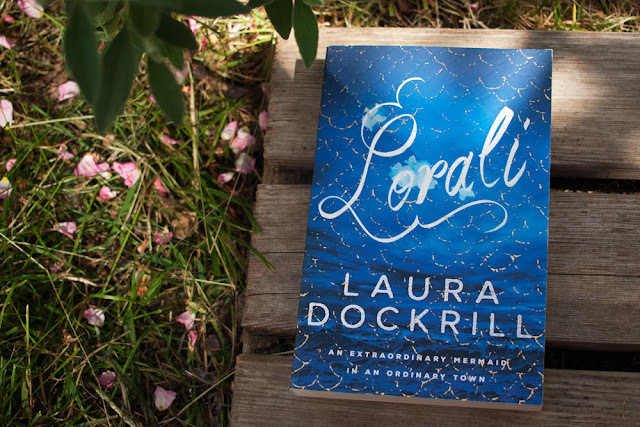 The writing is beautiful throughout, but the chapters told from the sea's point of view are really something special. For nights when it feels like the heat will never break and when it finally starts to rain. 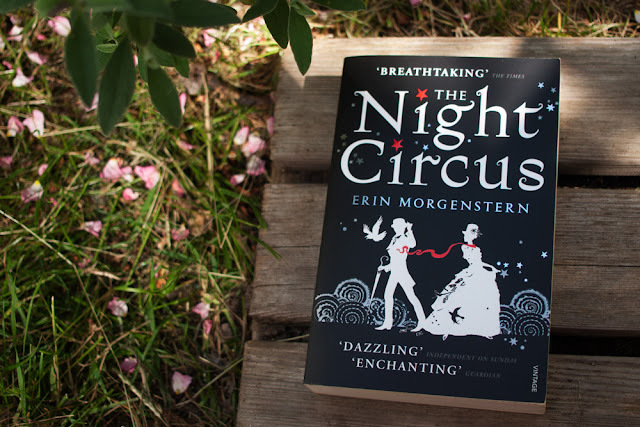 The Night Circus is the traveling venue for a curious magical wager, but Morgenstern's writing makes the circus itself feel every bit as impossible as the enchantments it sees. For days when the sky is blue and you permanently feel as though you might fall asleep. 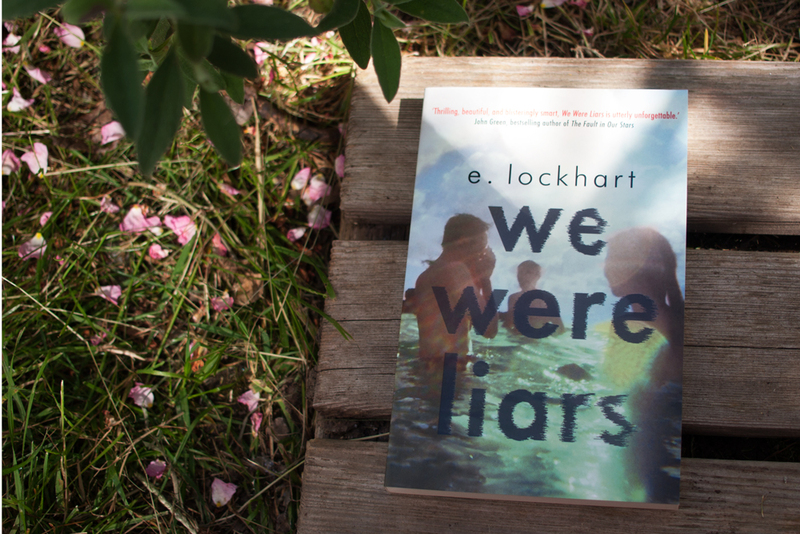 The pages of We Were Liars are full of secrets and suspense, all taking place on a beautiful private island, between a beautiful, wealthy family. For days spent by the pool, wearing vintage sunglasses. Tigers in Red Weather is another story full of mystery, and another look into the life of a wealthy family, this time at their summer home in Martha's Vineyard, after the second world war, when everything still isn't as perfect as it might seem. For days when you can't spend all day sitting around reading, as much as you would like to. 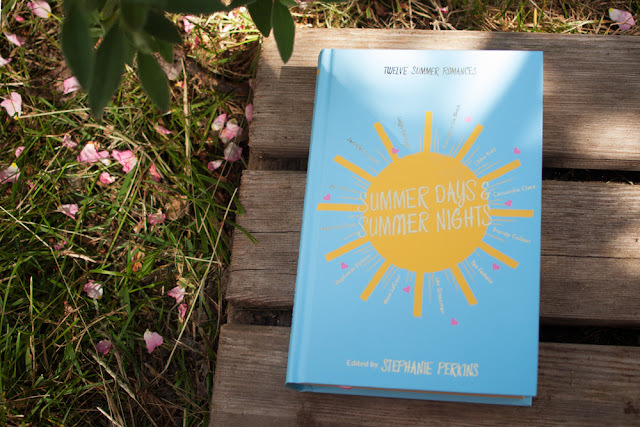 I have to admit I haven't actually read this one yet, but these short summer stories are bound to be perfect for sneaking in between all your summer activities. It's first on my summer TBR. Cast your minds back to April last year, and you may recall a book review of Death Wish, by Megan Tayte. 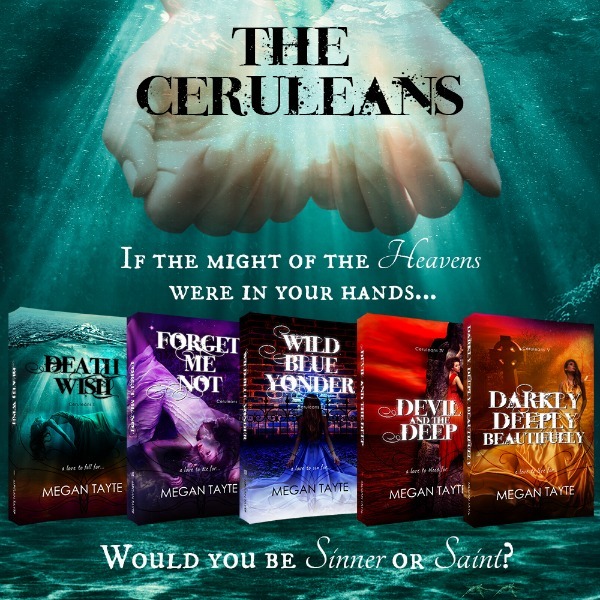 The book, and the rest of the series, was released in eBook form, but this year Tayte's books have been printed in paperbacl To celebrate, Tayte is running a giveaway, and Blogger's Bookshelf are jumping in to support her. The prize is a copy of each of the 5 books in their newly printed paperback format, and you can enter using the Rafflecopter widget below. You have until the end of the month to enter! Good luck! Once upon a time a little girl told her grandmother that when she grew up she wanted to be a writer. Or a lollipop lady. Or a fairy princess fireman. ‘Write, Megan,’ her grandmother advised. So that’s what she did. 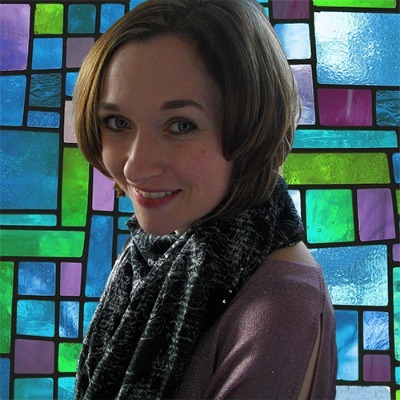 Thirty-odd years later, Megan is a professional writer and published author by day, and an indie novelist by night. 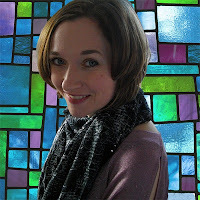 Her fiction – young adult romance with soul – recently earned her the SPR’s Independent Woman Author of the Year award. Megan grew up in the Royal County, a hop, skip and a (very long) jump from Windsor Castle, but these days she makes her home in the village of Standish, Greater Manchester. She lives with her husband, a proud Scot who occasionally kicks back in a kilt; her son, a budding artist with the soul of a palaeontologist; and her baby daughter, a keen pan-and-spoon drummer who sings in her sleep. When she's not writing, you'll find her walking someplace green, reading by the fire, or creating carnage in the kitchen as she pursues her impossible dream: of baking something edible. Morgan Matson's fourth YA Contemporary follows politician's daughter Andie who has dreams of becoming a doctor and an internship with a top medical school lined up for her summer break. However, when her father is unexpectedly involved in a scandal, Andie's life is flipped upside down. Her internship plans fall through and she finds herself taking on a job she never would have dreamed of; dog walking! Just like Matson's previous novels The Unexpected Everything tackles friendships, love and family drama with a whole host of lovable characters introduced along the way - this time, also including an adorable dog named Bertie! Of course, the book has that fun, summer read feeling but as always Matson has included a certain depth to the storyline as well. Similarly to Matson's other releases the book includes a few extras in terms of the format. This time around emoji-filled group text conversations between Andie and her best friends, as well as excerpts from fantasy novels penned by one of the characters were scattered throughout the novel. One of my favourite sequences from the book was the scavenger hunt, which was somewhat reminiscent of the idea of the to-do list in Since You've Been Gone - speaking of which, fans of Matson's novels will be pleased to find a few crossovers and cameos hidden within TUE's pages! If you're still compiling your summer reading list, be sure to add The Unexpected Everything to the top of it! The simple definition for a novella is a short novel, or a long short story. At least that's the definition that comes up when you search for the definition online. It's accurate, but it's just a bare bones definition. Novellas are a growing trend, and they're becoming increasingly popular. Many authors whose writing I really enjoy are now writing novellas and they're pretty good too. 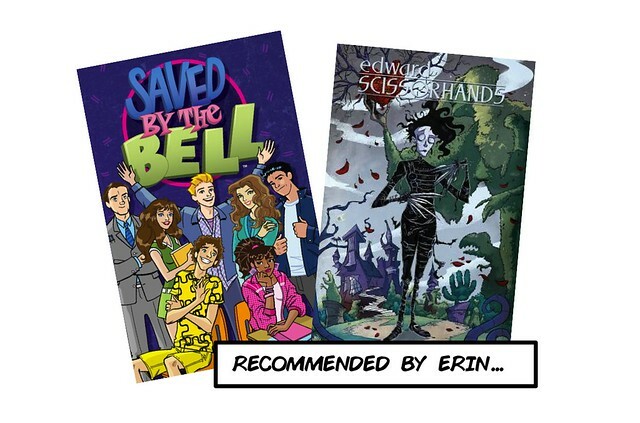 Bitesize stories, sometimes reintroducing you to characters you already know and love, or sometimes introducing you to brand new ones. Barrington Stoke are publishing a novella from the author of Trouble and Remix in August this year, featuring a group of friends who all meet up at their old school to open the memory box that they all stowed away there several years ago. There's five letters inside, but only four of them - Millie, one of the friends, has died in between hiding the box and the point that they're in today, but Millie has left them a new letter, saying they may read hers but only if they all read their own letters to their older selves out loud. I'm really excited about this novella, and it has such an interesting plot to it, I think this will really work as a novella and I'm looking forward to August to get myself a copy! Anyone that saw my review of Lauren's debut, The Next Together, when I posted it on my blog last year knows that I was completely obsessed with it. Lauren's next book, The Last Beginning, arrives later this year, but when revealing the cover, she also decided to drop the news that she was releasing a free (!) novella based on the two characters, Matthew and Katy, set in 1940. A murderer is loose in Bletchley Park, at the time where one of the most daring codebreaking missions against Nazis was taking place. Is it possible that Matthew and Katy can catch the killer? You don't have to read The Next Together to understand this book, but I highly recommend you do anyway because Lauren's writing is amazing. This particular novella is now available from various e-book retailers. If you've read the Legend trilogy, you may want to consider giving this a read. This short story provides a look at June and Day's lives before they met in 'Legend,' where June begins her first day at Drake University as the youngest cadet ever admitted and Day is on the streets fighting for food. Well worth a read if you're a fan of the trilogy. So those are four novellas I think you should know about! 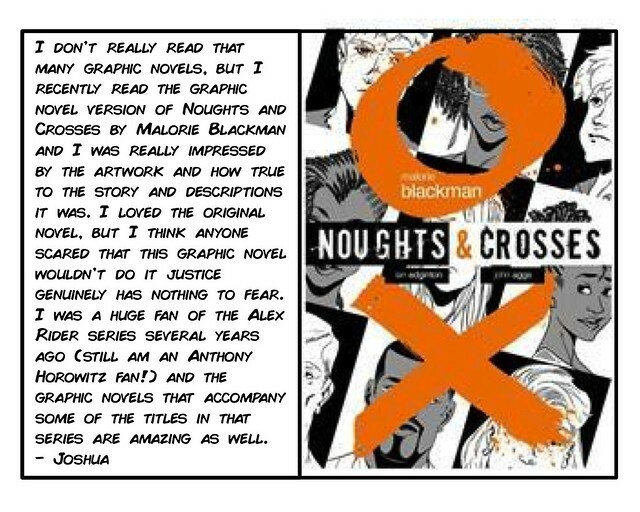 If you've read them, what did you think? Have I missed any? Comment on this post and share the novellas that you've really enjoyed!